Small and medium enterprises (SMEs) in Pembrokeshire, Carmarthenshire, Swansea and Neath Port Talbot received £21.3m backing from the Development Bank of Wales in 2018, generating £33.1m private sector leverage across the region. The 72 businesses to benefit include Wales’ only independent oil company, Oil4Wales, which received a £350,000 loan to fund the development of the Nantycaws filling station. About £200,000 was awarded to Dafen based DRL Partitions and £1.5m for Britain’s first independent tyre comparison website Motokiki. LSN Diffusion, an Ammanford-headquartered advanced manufacturing company has received £1.25m backing from the Development Bank of Wales. The company has received the funds to support growth plans, including an expansion of production facilities. The funds will enable the company to expand production at its Cilyrychen, Ammanford, facility by 80 per cent, creating 40 jobs and bringing its headcount 135. In 2012, LSN received £350,000 in start-up funding from the development bank, when it was called Finance Wales. 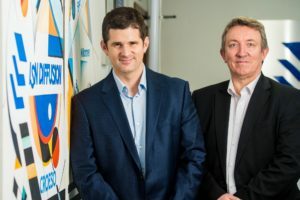 Philip Allnatt, managing director of LSN said: “It is essential to increase capacity to meet growing demand for our products world-wide which is part of our long-term growth strategy and the loan from the Development Bank of Wales enables us to expand more quickly than relying solely on our own resources. “They were also able to offer flexible terms and so we’ve structured the loan to be repayable over seven years. Richard Easton, portfolio executive at the Development Bank of Wales said: “Having been brought up in west Wales, I have a good understanding of the challenges and opportunities facing businesses in the area and I’m keen to support local businesses with their growth plans. Regional manager Alun Thomas said: “Despite the continuing uncertainty surrounding Brexit, we had a record number of enquiries during 2018 from start-ups and SME established businesses looking for loans or equity up to £5m. “Investment totalling £21.3m was awarded to 72 businesses proving that there is still plenty of appetite for growth in this region; in fact, that’s almost double the £11.6m in 2017. “Access to finance makes a big difference to growth and sustainability which is why we continue to work hard to help local businesses to thrive. From the purchase of stock and new equipment, new premises, management buy-outs or acquisitions, owner managers want a commercial approach to investment that is tailored to meet their needs. The breadth of funding that we can provide ranges from micro loans of £1,000 to equity of up to £5m. The Development Bank of Wales has a team of eight based in Dafen, Llanelli. This includes newly appointed Clare Sullivan who has joined from HSBC as an investment executive along with property development excutive Alwyn Thomas and assistant investment executive Ashley Jones.